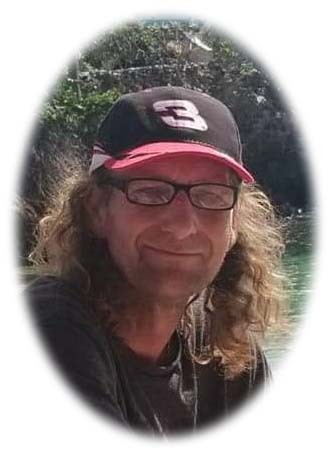 Donald Douglas Hamilton Jr. a resident of Neebing, passed away on Monday, October 15, 2018. Donny was a family man with the biggest heart, and his passing left the biggest hole in ours. Our beloved Husband, Brother, Father, Uncle, Friend. Don was born on November 19th, 1962. He was the 4th out of 5 children to Johanna and Donald Hamilton Sr. Donny is survived by his wife Kelly, his only daughter Shannon (Jason) granddaughters Kassidy, Emma, Sophie, his sons Chris (Janine) and Scott, grandson Nicholas, his sister Pearl, nephew Jason, his brothers Edward (Glenda), Bobby (Ivy) nieces and nephew Natasha, Simone, Joseph. Tatyana and Ava who he loved like a granddaughter. Predeceased by his sister Mary and brother Ronnie. He always talked about how proud he was of us all for our accomplishments. There was never a moment he ever thought we couldn't succeed in what we did. He loved painting and riding his motorcycle and being with his family and lifelong friend Ed Kolodziejczak. He had a passion for music. He always looked forward every year to his trip to Jamaica with his little brother. Friends may call at the Blake Funeral Chapel on Tuesday, October 23rd from 7:00 to 9:00 p.m.
Funeral Service will be held on Wednesday, October 24th, at 1:00 p.m. at St. Paul’s Anglican Church, 808 Ridgeway St. E. with The Rev. Deborah Kraft officiating. Cremation to follow. Memorial donations to Canadian Mental Health Association, would be appreciated. He may have left us behind however he left us the best memories. We will never forget the good times and what a great, selfless man he was. Forever in our hearts and significantly missed by us all. Donald Hamilton will be remembered in the Blake Funeral Chapel Memorial Grove. Annual dedication service Sunday, June 9, 2019.